Nicholas Pooran's 31-ball 76 went in vain. Sylhet Sixers and Rajshahi Kings were in with a must-win scenario in their match at the Zahur Ahmed Chowdhury Stadium in Chattogram. In the end, the Mehidy Hasan Miraz-led Kings punched above their weight and won the match by five wickets with two overs to spare and stay alive in this edition’s Bangladesh Premier League (BPL). In the meantime, the Sixers were shown the door of elimination. The decision to bat first after winning the toss worked out well for the Sixers are they managed to amass 189 for five in 20 overs. Arafat Sunny got rid of Liton Das early and even Jason Roy perished to Mustafizur Rahman after promising with a couple of boundaries. Afif Hossain played some glorious strokes and fell prey to Mehidy Hasan. Sabbir Rahman and Nicholas Pooran injected momentum. Rahman scored 45 runs from 39 balls with four fours and two over-boundaries. Pooran took the bowling by the scruff of its neck and racked up his half-century in 21 balls and remained not out on 76 from a mere 31 balls. His stupendous knock was laced with six boundaries and as many sixes. For the Kings, Kamrul Islam Rabbi was the most successful bowler with wickets of Rahman and Mohammad Nawaz. The run-chase didn’t start on an auspicious note for the Kings as Taskin Ahmed nipped out Zakir Hasan. Shahriar Nafees fought hard for 13 balls before falling prey to leg-spinner Alok Kapali. Johnson Charles threatened to take the match away from the sixes, scoring 39 runs from 26 deliveries with seven boundaries. Kapali cut short his knock with the Sixers still requiring a massive 126 runs from 68 balls. Thereafter, Laurie Evans and Ryan ten Doeschate went hammer and tongs to set up a stand of 89 runs from 45 balls. The partnership made the match a one-sided affair. 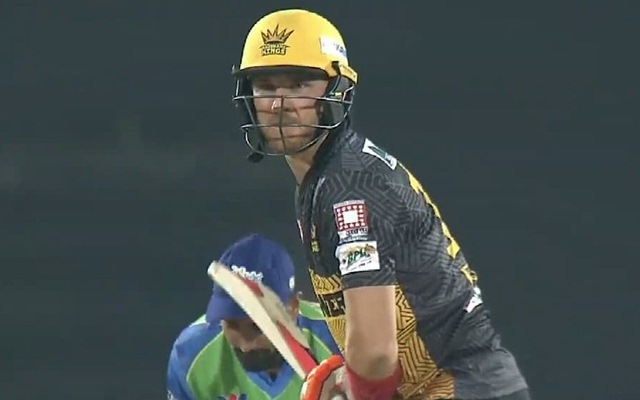 Even as Evans scored 76 from 36 balls with 10 fours and two sixes, Ten Dooeschate ended with 42 from 18 balls with three boundaries and two sixes. Sohail Tanvir dismissed both of them, but by then, the match was all over bar the shouting. Im thinking that this is wrong step for win here in Chàttogram Stadium. Bye bye @SylhetSixers from #BPL2019 better luck next season ✌✌✌Come back again much stronger than this season. Stunner that from Sabbir. Pooran and Sabbir caught it together but Sabbir had control.